Palm Coast is an oceanfront community with a hometown feeling that respects and protects the natural environment – where the sun shines abundantly and people love to get outdoors year-round for fresh air, exercise and family fun! Living in a healthy environment is important to us. 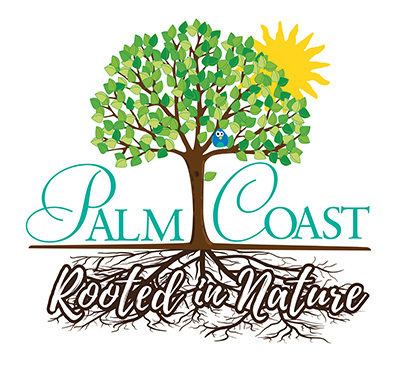 Since our early days, Palm Coast has been carefully designed for a healthy balance between nature and development. We value trees, waterways and beautiful, natural landscaping that give our community a "wow" factor. You'll find native Florida foliage and colorful birds and wildlife along magnificent trails, along with pristine beaches, world-class golf and tennis and plentiful boating and fishing. We want our commitment to be contagious. We go beyond traditional recycling programs with a doorstep hazardous waste pickup and an annual Christmas tree recycling event. We offer green building incentives to encourage residents to include energy-saving fixtures when they build new homes. We provide opportunities to make a difference through our Adopt-A-Park/Road/Trail/Shoreline programs, by embracing paperless billing and by taking intentional steps to save water and conserve natural resources every day. We celebrate nature in balance at special annual events including Arbor Day, the Birds of a Feather Fest, and the Intracoastal Waterway Cleanup. Palm Coast. Rooted in Nature.